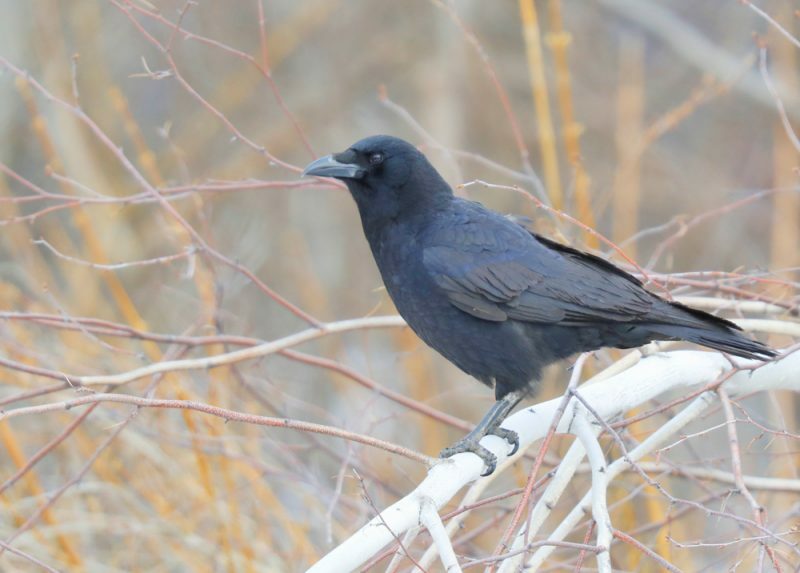 Bob and I arrived home from a meeting in Wolfeboro, NH in time for crow patrol. What will they do next? Last night we arrived an hour before sunset (a little after 6 PM) and there were very few crows to be seen from the boathouse on Eaton St. at the crow bar and a few going in to the southside to the west of us. 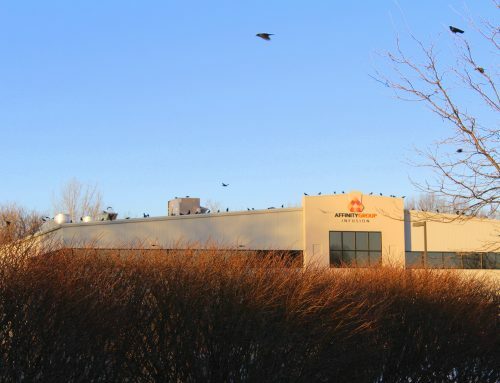 We followed them to the industrial park and saw 12 Robins, 25 Grackles, a Cowbird, Red-winged Blackbird and a couple of Juncos from Haffner’s. 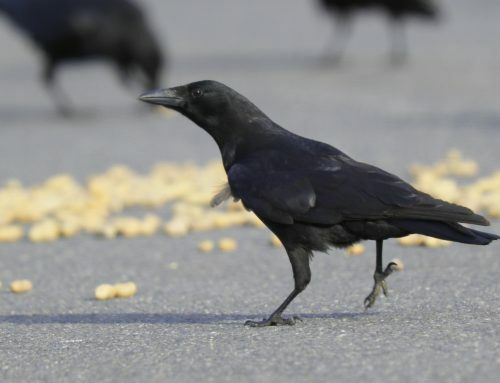 A few crows were peeling off the back. Going to the other side of the Merrimack River to stage?????? Back to the boathouse a Lesser Black-backed Gull landed briefly on the river. It was a warm sunny evening and a beautiful spot to be observing the crows. Much to our surprise – THEY WERE STAGING ON THE OTHER NORTH SIDE OF THE RIVER. 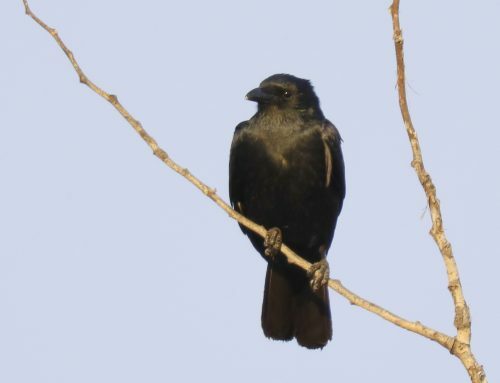 They perched high in the leafless trees lining the river from the crow bar east some way. 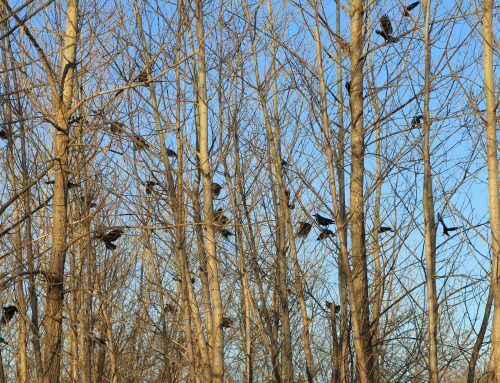 Most of those trees stood higher than the ones behind them so the birds were silhouetted against the sky. Vast numbers kept pouring in from the east and some from the west. All staged to the west of their roosting area the past few nights. Bob got a chance to really get a good count and there were over 4000 birds by sunset. At one point, a great number of them became very noisy (as they seem to do when they are going to lift up and swirl around) and lifted up. Most them circled back into the same trees but two groups broke off – one going west to the south side and one going east of us to the south side. Otherwise, they were quite settled down last night. Eventually both of those groups returned to the northside. The west group all seemed to drop down to the river’s surface trying to catch something from the surface of the water. Too far away to tell what. It was beautiful with the colorful sky reflected in the river and thrilling watching the numbers grow and grow and more trees being occupied by the incoming crows that seem to be arriving later than usual. 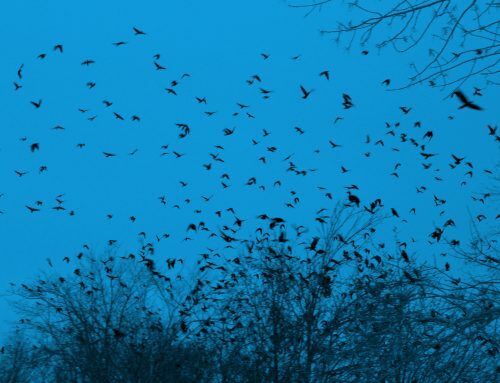 At about a half hour after sunset 7:30 PM, the noise level rose again and a large group of crows rose from the middle of the group and flew over others to the east of them to the trees behind the church were they have roosted since Sunday . Slowly, the others all followed suit. The roosting crows roosted far more densely that the staging crows. There was a dramatic difference. Another night on crow patrol – another fascinating memory to savor in the months ahead.